Calling all student photographers at Macomb Community College and 12th graders planning to attend Macomb Community College! We’re looking for the best original photos of Macomb County. From art, nature and architecture to people, places and faces, you’re challenged to capture the beauty of Macomb through your lens. Share your ‘As Seen in Macomb’ snapshot between April 1 and April 26 for the chance to win a $1,500, $1,000 or $500 scholarship that can be used for tuition and other educational expenses at Macomb Community College! The top 13 photos will also be featured in 12-month calendar by First State Bank. Make sure to read through the contest rules and criteria below. And for those interested in how judges will weight each photo, be sure to take a look at the scoring rubric. Images submitted should be no larger than 1296 pixels on the long side of the image and should be submitted at 72 ppi (18 inches at 72 ppi) and 8bit, RGB color. Award recipients may need to provide larger, high resolution jpg files at a later date (300 ppi). Contest participants will need to provide model releases for any identifiable people in their image. When submitting your jpeg file, the file must be named with the photographer’s last name, underscore, first name (ex. smith_jane.jpg). The photo contest will open Monday, April 1 at 6 a.m. EST and close Friday April 26 at 5 p.m. EST. A panel of judges will determine three winners and they will be notified on May 7 if they received the first, second or third prize scholarship.  Winners must attend an event at Macomb Community College on May 22 to receive their prize. Participants must currently be a student of Macomb Community College or a high school senior planning to attend Macomb Community College. Entries must be the original work of the student and must be taken in Macomb County and only one entry per student will be accepted. To be considered, photos must be submitted at https://woobox.com/a6y4nc. Entries must contain your first and last name, email, phone number and Macomb Community College Student ID Number. If you do not yet have an ID number, click here to register at Macomb Community College. All decisions of the judges are final. The contest organizers reserve the right to disqualify entries which do not conform to the stated contest rules and criteria. OneMacomb, Macomb County, Macomb Community College and First State Bank reserve the right to use all submitted photos on marketing outlets and promotional materials.